As reported by Statistics YouTube has 1.9 billion people logins every month and the numbers were continually growing. Now YouTube announced its priority on YouTube Monetization and launched more efficient options to content creators. YouTube has announced new monetization rules on its platform, and it offers more options monetize their YouTube Video Content. Google announce some necessary changes in the YouTube partnership program where the Number of YouTubers earns money through YouTube Advertising. YouTube is tightening the rules of YouTube partnership program to save and help the content creators. These updated rules of YouTube Monetization applies to the YouTube Channel or a video monetization creators. Nowadays more people are using mobile data and changing their living room screens to watch their favorite videos from YouTube. It’s a prediction that approximately people used to watch 180 million hours of YouTube content per day on the TV screens. Let’s go straight to the point; video monetization involves earning money through publishing videos on YouTube. In another way, we can say that getting paid through publishing videos on social media websites. Offering subscriptions, inserting paid advertisements, posing reviews and getting sponsorship are the various methods of YouTube Monetization. Video consumption continuously climbs up so, we should publish quality video content on YouTube, many publishers think that video monetization is a logical strategy to get paid from the partnership program. Here are the new YouTube Monetization Rules for getting paid with ad money and partnership program. There is no YouTube Monetization until the channel gets 1000 subscribers and 4000 hours of watch time. Previously Youtube ads need 10,000 views to join a YouTube partnership program. Every YouTube channel need 4000 hours of watch time and more than 1000 subscribers to join in the partnership program, and it’s an update from the February 2018. At that time YouTube has removed 150,000 videos from YouTube Platform and hundreds of channels which are showing alleged child abuse content. YouTube advertising will take a new approach to content creators. YouTube decided and placed some new rules for videos which are eligible for YouTube Advertising. YouTube monetization will closely monitor the spam content, community strikes, other abuse flags to your channels. YouTube partner program will consider the abuse flags comply with Adsense policy of your channel. Both the new and existing channels figure out this new criterion. If any channel is continuously regretting community guideline that channel automatically removed from the YouTube partner program. If any YouTube channel account issued more than three community guidelines strikes that user account is removed from the YouTube. All Google preferred the team manually reviews videos and YouTube channels. There are new criteria and new requirements set to YouTube channel advertising. New third-party verification and three-tier sustainability system set for supervising advertising controls. Maintaining transparency and communication and prioritizing the creators at YouTube Advertising. YouTube continuous to invest in YouTube Originals to support creators earn more money from online videos. After the launch of YouTube Originals, creators have seen 20% more revenue. Allowing more engaging ways to communicate and gain more audience. Supporting the creators in their success with new guidelines of YouTube Monetization. If your YouTube Channel is maintaining the above all guidelines and requirements, now your channel is eligible to enable YouTube Monetization. Sign In to the YouTube Channel with Google account. Go to “Creator Studio” from Setting menu. Go to Dashboard choose “Channel” which is located just below the community tab. Select “Status and Features” from the drop down menu. 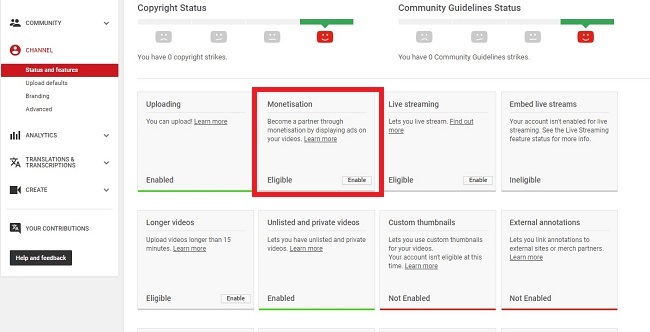 You can see the status of monetization if is it is enabled or not. Go to the “Monetization” under the Channel. 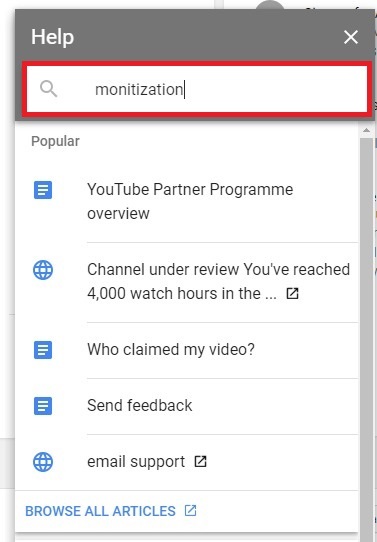 Under the Monetization, we can see “Apply For Monetization” option. If your channel is not enabled and the channel is perfect with all the requirements you can see “ Channel under review” option. Next, Go to the “Help and Feedback” at the bottom left corner of the window. On help search bar, type Monetization you can see “Send Feedback “option. It will ask you Name and URL of the Channel. Enter the details of your channel. Include the screenshot by drag and drop method to the Feedback form and click on “Send” . Now you have successfully applied for the Monetization, and it will take a few days to review your feedback form. 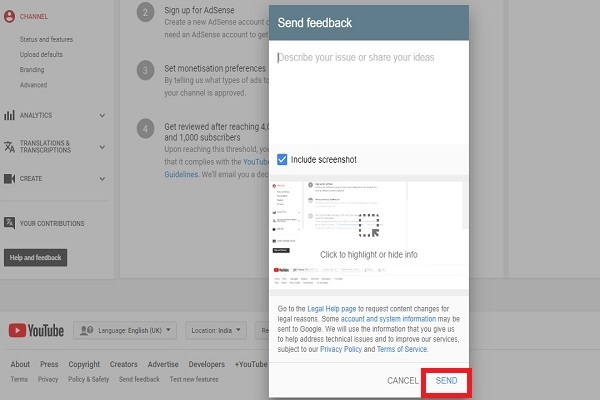 Once your channel meets the community guidelines, YouTube team will enable Monetization option as soon as possible. Video consumption has become a secondary thing in digital lives. Video content drives 80% online traffic by the end of 2020. Make sure to implement innovative techniques to reach more audience through YouTube partnership program and ads. 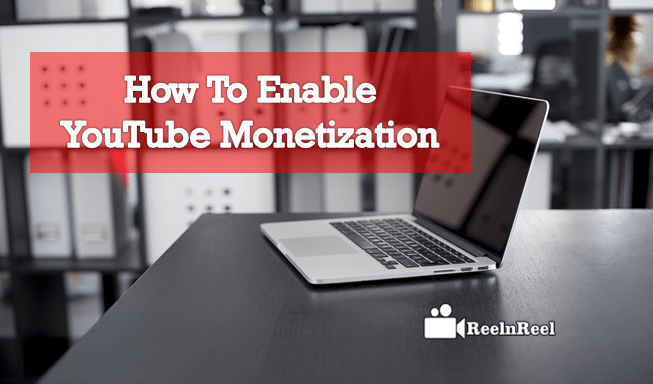 Here it is an outstanding guide to how to enable YouTube monetization in 2019.